Doctor Who: Legacy with Nicholas Briggs!!! Doctor Who Legacy - Christmas Show Ho Ho! Doctor Who Christmas Review and Sims 3 Giveaway TONIGHT! Whether you're a new member, a newly-renewed member, or maybe not even a member, you've probably had a few questions about what on earth being in the Posse means and what you can do as part of the Posse. 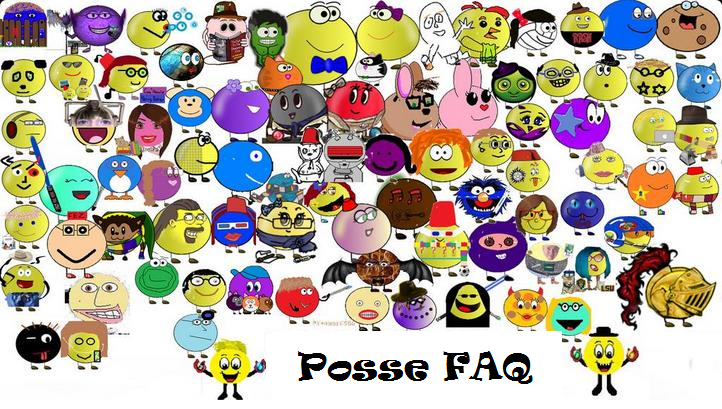 Well, ask no more, because everything you've ever wanted to know about being in the Posse can be found right here! First off, what is the Posse? We are the Posse. We are the diehard Adi addicts, the ones who show up hours before every stream and hang out for hours after (as we are permitted to by this terrible thing they call Real Life). We are the ones who have saved up at least 500 AdiGold, are willing to try our hands at designing an original adipose, and are proud to make our addiction known to the world for at least six months. What does being in the Posse do for me? 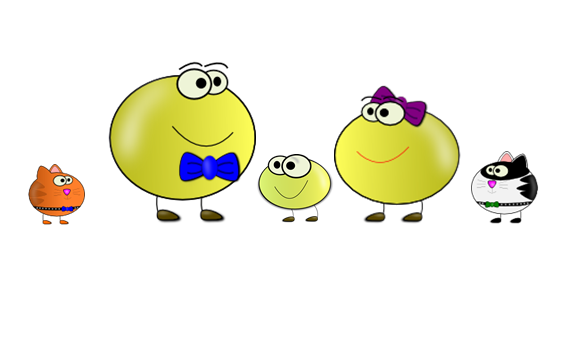 Part of your Posse application involves designing an adipose that reflects you and writing a short biography for the official Posse page. That 'pose and bio will stay on the website for six months! How cool is that? Posse membership also means you get a special teal star by your name in the onscreen chat for six months! Posse members have the ability to create a custom nickname for the onscreen chat! For more information, ask one of the mods. If you're one of the newest members, AdiBot will occasionally give you an in-chat welcome! Also, during Adi's commercial breaks, the bot will put a random Posse bio into the chat. If you're around and you see that it's yours, say something in chat and one of the Mods will give you some bonus AdiGold! Posse members now have the ability to choose the best parts of the stream for Adi to put on YouTube! All you have to do is type "!highlight" with a brief description of the highlight relatively close to when it happens on stream. If Adi picks your highlight, he'll give you credit for it in the video! Every once in a while, Adi will do a giveaway that's only open to Posse members. And it's usually pretty good, so you don't want to miss out! Adi occasionally plays multiplayer games like Terraria or PvP games like Hearthstone and likes to get the Posse involved! Don't miss out on your chance to play with Adi and the Posse! Adi interacts with Posse members on Snapchat during the streams! The Posse also gets to see behind-the-scenes shots of the streams, daily life in the Pose family, and pictures of Izzie. Who doesn't want that? Of course, there is the simple fact that by joining the Posse, you become a member of one of the greatest communities on the internet. The Posse is a very diverse and welcoming group of people. The chat is active 24/7. You can always find someone to talk to about Doctor Who, Doctor Who: Legacy, Hearthstone: Heroes of Warcraft, pizza, or any number of other topics. Jump on in and start chatting! We'd love to get to know you! Wow, this all sounds great! Does it cost anything to join? Nothing but 500 AdiGold! For more details on joining the Posse, click here. 500? That sounds like a lot. It seems that way, but it really isn't. AdiBot is in the channel 24/7. 1 AdiGold every half-hour is 48 gold a day. If you left a tab open on your computer, you'd only need 11 days to save up 500 AdiGold, and that's without streams. So really it's not hard at all! There are no drawbacks to joining the Posse! What are you waiting for? But how will I know when I'm really a part of the community? I hope you found this article helpful! If you have any more questions, feel free to leave a comment down below or contact one of the mods in chat. Hope to see you in the Posse! Happy Boxing Day, Posse! 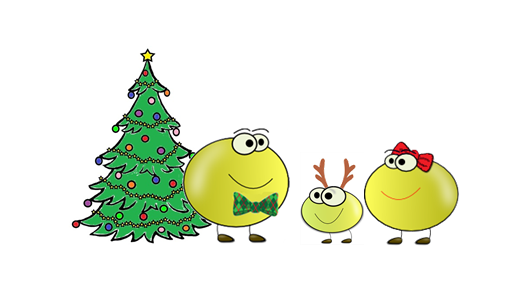 Or St. Stephen's Day, Wren's Day, Second Christmas Day, Friday….take your pick! It’s been a quiet week but we've still had lots of fun! We hope SantaPose was good to you and that you managed to not get chocolate poisoning from consuming too many sweets. Tuesday brought us Adi and Clarie's Christmas show and the entries to the Christmas competition. Congratulations to our winners! In first place was Henior99 while Detetiv took second place and LesMc537’s photo series rounded out the list of winners with honorable mention. Thank you to all the entrants and a special thank you to Adi, Clarie and IzziePose for the fun Christmas stream and TRIPLE adigold! Merry Christmas, indeed! Wednesday we had Lee and Susan of Tiny Rebel Games and Pete from the BBC join us for our Christmas Eve Doctor Who: Legacy stream. Glad to see Lee was feeling better! Lee's brother and father even joined the fun and the extended Tiny Rebel family members received a warm welcome in the chat! Thank you to the entire DW:L team for a wonderful Advent Calendar. We can't wait to see what the New Year brings! 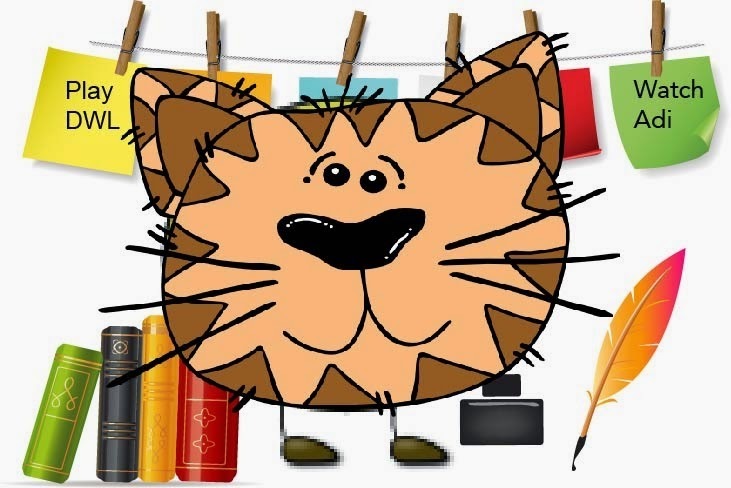 Be sure to join us on Saturday the 27th for Adi's biggest giveaway of the month! Adi will be giving away The Sims 3 as well as the "Late Night" and "Date Night" packs on top of tons of high end stuff! Seriously huge giveaway!! Make sure to follow Adi on Twitch, Twitter and Facebook so you don’t miss out on any of the fun! Adi's been streaming Spec Ops, chat favorite Posse Wrasslin (including the FIRST Posse Champion! ), loads of Hearthstone ranking, Adi and special guests opening countless Hearthstone packs and more. Were you able to join us for Smaug opening packs? What about Derek the Complaints Manager? Hope you didn't miss out! Make sure you hop over to Celeloth’s Quotes of the Week for your weekly look back at some of the chat and stream hilarity! Cele’s a quote machine. Thanks for the hard work, Celeloth!! Adi has hit a huge milestone this week. Thirty THOUSAND subscriptions on Youtube! Wow. Massive congratulations, Adi and THANK YOU to all of those who subscribe and follow Adi on Twitch, Twitter, Facebook and Youtube! Just incredible!! Have a safe and happy New Year, Posse! We’ll see you in 2015! If you have an idea for an article, some great fan art or something else you’d like to submit to TheAdiPoseTV.com be sure to contact Angelina_M or tabitenor17 in the chat for more information! Adi and Clarie's Christmas Show! Friday already? News day is here again! What a week. The time is just flying by and Christmas is less than a week away! Hope you all behaved so SantaPose brings you lots of presents! Speaking of presents, I hope you didn't miss the incredible present we had during the Doctor Who: Legacy stream this week. We were joined by Susan of Tiny Rebel Games and Pete from the BBC but they had a super special guest join…Nicholas Briggs. THE Nicholas Briggs. Executive Producer at Big Finish Productions. Voice actor extraordinaire. Daleks, Cybermen, Judoon and so many more. Seriously, look him up and get lost in the list of his many talents. If you missed the stream, or if you just can’t get enough, make sure you head over to watch! Thank you to everyone who made the visit possible as well as everyone who was there to participate! Our Doctor Who: Legacy stream was missing our Master of the Monologue, Lee. Susan and Lee have ventured across the pond to spend time in Cardiff for the holidays and Lee has not been feeling well. Hopefully Lee is feeling better and will be around to join us for next week’s stream. Just like last week, we have a schedule change. Please note that next week’s Doctor Who: Legacy stream will also be on Wednesday, December 24. No time change. See you all on Christmas Eve! We've all been very busy getting ready for our holiday gatherings and parties but Adi's still had time to get some hilarious Posse Wrestling in, Hearthstone ranking for the monthly competition and even Parts 15 and 16 of The Last of Us. If you've never managed to catch a Posse Wrestling stream, you really are missing out. Although, that means you've missed out on all the side pains we all end up with from laughing so hard (the pain is totally worth it). Make sure you’re following Adi on Twitch, Twitter and Facebook to get notified so you don’t miss out next time! It’s been another great week of posts on www.TheAdiPoseTV.com as well. 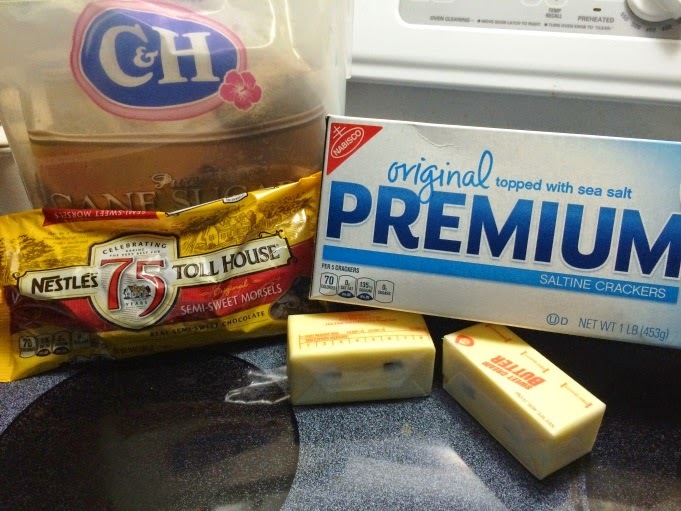 At long last, we have another delicious recipe from LesMc537. You can check out her Christmas “Crack” recipe but be warned, it’s so good you’ll be hooked at the first bite! 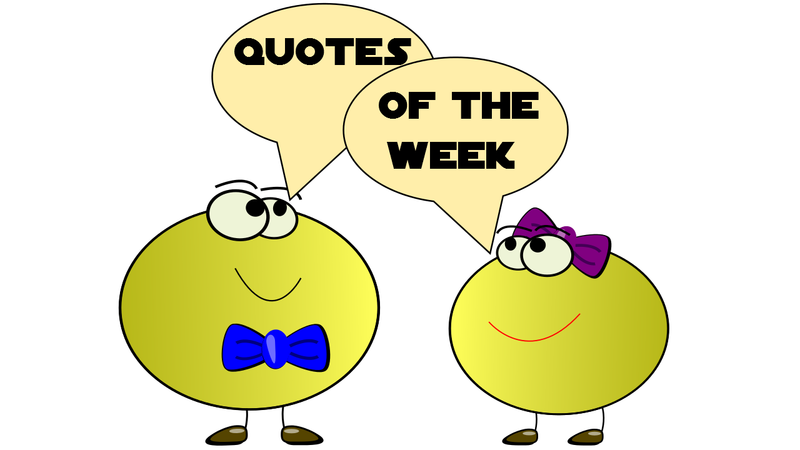 Celeloth's fantastic Quotes of the Week are also up so make sure you read all the goodness! We have some more Posse-versaries this weekend! A very happy Posse-versary to both BrettusLettuce and spiggster (SPIGGY G!)! Woohoo! Congratulations on your Posse-versaries! If you haven’t already, please make sure you stop by the chat so the Mods or Adi can renew you for another 6 months with the Posse! If you haven’t submitted your entry for the Christmas Competition, you still have time. Get them in! As always, if you have an idea for an article, some great fan art or something else you’d like to submit to TheAdiPoseTV.com be sure to contact Angelina_M or tabitenor17 in the chat for more information! Have a wonderful week. From all of us here, we wish you the happiest of holidays. Be safe, enjoy your gatherings and make sure you stop by Twitch to join us for more chatting and streams. Doctor Who Legacy with NICHOLAS BRIGGS - voice of the Daleks! Sweets n' Treats with Les! Another yummy guest post by Posse member LesMc537! You know the saying “Looks like you’ve got a sweet tooth!”? Well, I figure I’ve got sweet teeth because I like treats, and I love to bake. The majority of my baking happens this time of year because there’s always a holiday function that calls for a big batch of treats to share. A new favorite that my friend introduced me to (because that’s what you do when you find something so good you can’t help eating it all yourself—you introduce other people to the recipe so they can make it themselves, forget sharing) is known as Christmas Crack—Christmas, probably because of the time of year we usually make it, and Crack because, well, it’s really addictive and I suppose it could have something to do with how you crack it apart into pieces. This is a quick and easy candy recipe and makes a great gift or something sweet to bring to a potluck or family gathering. ~Spray with Pam, or grease VERY lightly with butter. ~Cover the cookie sheet with a single layer of saltines (a row of 5 x 7 with a small space at the end, fold the edge of the foil up to create a nice edge). ~Combine and stir butter and brown sugar in a pot over medium heat. ~Bring butter and brown sugar to a full boil (pic #3). Boil for 3 minutes, stirring with a whisk. ~Pour over the saltines, and try to spread it as evenly as possible. 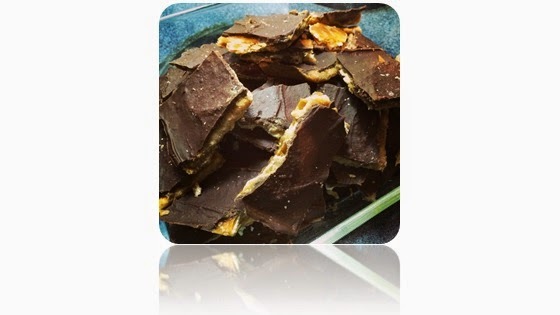 ~When you remove it, the caramel mixture will be molten and boiling; allow to cool about 2 min, or until you can see the crackers distinctly, which will have shifted while baking. Push them back into order with a fork or knife. ~Sprinkle the chocolate chips over the toffee and let sit for a couple minutes to melt (you can put the pan back in the warm oven for a minute or so to help speed the process). ~Once melted, spread chocolate evenly. ~If desired, sprinkle on nuts of your choice (or any topping your heart desires) and press lightly into the chocolate (this is OPTIONAL and not done here as I’m not a fan of nuts in my treats). ~Let cool a bit and then transfer to fridge to harden (at least 30 minutes). ~Once hard, break the candy into small pieces and place in airtight containers for up to a week (but they won’t last that long). Remember, if you ever want to read the full sets of quotes from any of these streams, visit Celeloth's Facebook page! Adi: “I’m going down, I’m going down, I’m going down – Spud! Spud, turn around! SPUD!!! DWL - Susan, Lee and Pete! Happy Friday, Posse! It’s news day! We’ve had another busy week full of streams and chat. Just the way it should be! We have our final list of entrants for December’s Hearthstone rank competition! 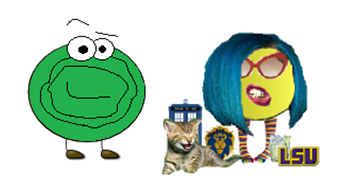 Agriffindor, DoctorWhoFan6872, Hues_of_Blue_23, Labradite, LesMc537, MadHarrisWithABox, OnlyMetahuman, Scott_allonsy, Steveoooooooh, Tabitenor17, TinyDancer485, and TwelvesOswald have all stepped up to try and knock Adi from the top spot! With the competition and the release of the Goblins vs Gnomes expansion pack, this month’s Hearthstone playing is going to be way up for the Posse! Be sure to check out Adi’s GvG pack stream highlights and get playing and practicing your Hearthstone skills so you can join January’s rank competition! Adi’s also been having fun taking us along on the journey of The Last of Us. Most recently posting streams parts 13 and 14 up on Youtube this week. Head on over to Adi’s Youtube videos to catch up on The Last of Us streams and be sure to check out the Don’t Starve! Highlights from this week. These highlights were chosen by Posse members and the member that selected each highlight is mentioned. Just another perk of joining the Posse! This week’s Doctor Who: Legacy stream was a little extra special as it was the weekly Double Adigold stream! Were you there to get twice the gold?? There was another incredible turn out as we spent some time with Adi, Susan, Lee and Peter. Not many better ways to spend a Thursday out there! Also, there is a schedule change for next week’s Doctor Who: Legacy stream. We’ll be joining Adi and the DW:L team on WEDNESDAY instead of our usual Thursday stream day. The time remains the same. With the holidays approaching, make sure you are following Adi on Twitch, Twitter and Facebook as well as Doctor Who: Legacy on Twitter and Facebook to be notified of any additional stream schedule changes and maybe news about special guests…You’ll have to follow to find out! 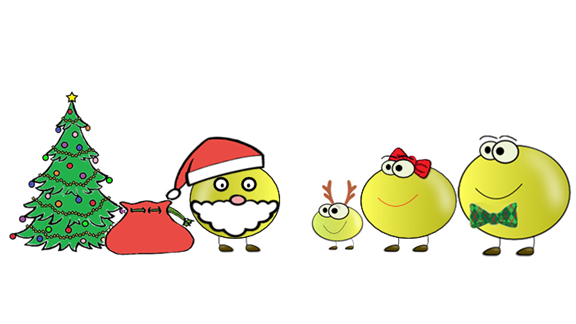 We’re drawing nearer to Adi’s Christmas competition! Have you submitted your photo, yet? If not, get thinking. Get creative. Most importantly, make sure you join us for the Christmas stream! The Halloween party was awesome and Christmas is shaping up to be another fantastic party with the Posse! We’ve been busy little bees on TheAdiposeTV.com. Celeloth’s weekly quotes post is up and, as always, it is hilarious! Also, if you enjoyed LesMc537’s Pumpkin Cream Cheese Swirl Bread recipe, you are in for a treat! Les has sent along another delicious recipe to share with you so keep an eye out for that next week! We’d like to take a minute to send along some very Happy Birthday wishes to two of our wonderful friends TheAutismRob and Mattheww191!! Happy Birthday, guys! We also have a few more Posse-versaries coming up this weekend. Bisheh, DebDove01, Mattheww191, The_Doctors_Companion39 and VealyDan! Congratulations on your Posse-versaries! If you haven’t already, please make sure you stop by the chat so the Mods or Adi can renew you for another 6 months with the Posse! Labradite: "WHAT ARE YOU ALL DOING?" lucky12001: "waiting for DWL update to go live for Android and working on finishing my last of the 3 bookmarks." lucky12001: "i wish i could be working. then i wouldn't be bored." Labradite: "well how am i supposed to be entertained with any of that." Stile99: "I gotta know right now, do u love me? Will u love me 4ever?" iPurpleNinjah: "Only if you’re bacon." Detetiv400: "this is what happens half the time on here in the #AdiPosse." Smallbluemonkey: "Only half? I’d say 3/4." tabitenor17: "Blogger double-spaced everything strangely and erased all the colors." Celeloth: "oh i don't care about the colors. those are just there cuz I directly copy from the chat." tabitenor17: "REALLY. YOU MEAN I DIDN'T HAVE TO SPEND FIVE MINUTES TRYING TO FIND A PURPLE THAT MATCHED LES'S COLOR. REALLY." Celeloth: “oh that's hilarious. i can't believe you actually tried to match everyone's color." tabitenor17: "I would check over to your original post and be like GODDAMMIT IT'S A CUSTOM COLOR. NOW I HAVE TO FIND ONE. lab's blue took me ten thousand years I swear." Celeloth: "well, now in the future you know what colors to use?" Celeloth: "i agree about Les, but Lab is definitely blue." tabitenor17: "but it's not the right /shade/. it needs to be Skype blue. it is not Skype blue. I am very OCD when it comes to colors." Celeloth: "no one is gonna compare the shade, tabi." tabitenor17: "I WILL. AND I DID. I PROBABLY SPENT TWENTY EXTRA MINUTES MATCHING THE COLORS. TWENTY MINUTES. I COULD HAVE BEEN SLEEPING." Celeloth: "if you keep this up I'm gonna turn my entire post black and white before I submit this." The Last of Us - Part 13 Tanks for that!